I’ve just added a Thoth app to my sigil generator, have fun! I’ve just added a Rider-Waite-Smith tarot app to my sigil generator, have fun! I’ve just added a Forty Servants app to my sigil generator, you can find it under Cartomancy > Forty Servants. 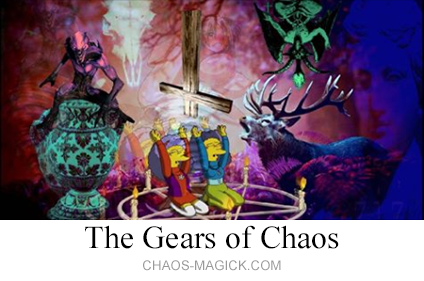 The Forty Servants app lets you use a virtual version of the oracle deck The Forty Servants. Cards start in order then you get to shuffle while asking your questions (this actually reorders them on the back-end, like a physical deck), deal out cards (with or without reversed cards), and even shuffle remaining cards you haven’t dealt yet. Ready for some Yoga Magick? Because I know so many people online already doing yoga magick, I’ve just added Bikram Yoga as an output on the sigil generator. Bikram already uses the 26 poses in Bikram so I just correlated them to the 26 letters in the English alphabet. You can enter gnosis via transient hypofrontality while repetitively performing them like a mantra. Note: I’ve also slightly rearranged the menu. 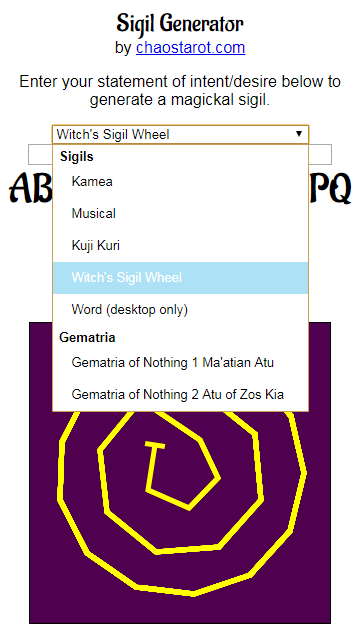 I’ve added the Witch’s Sigil Wheel to my sigil generator. 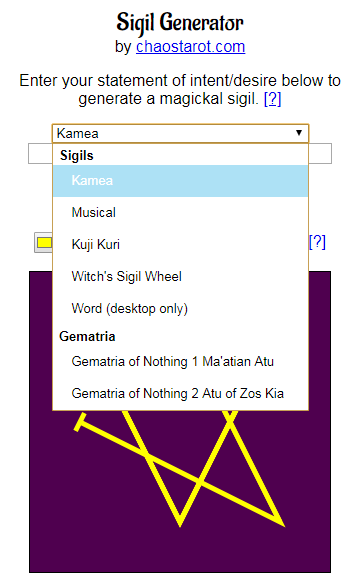 To use it, select “Witch’s Sigil Wheel” from the drop-down menu. 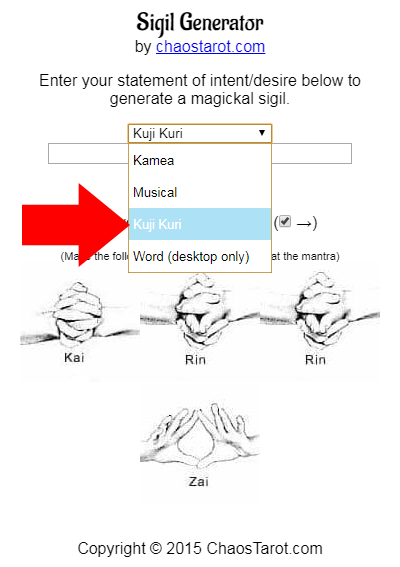 By popular demand I have just added a help button to the sigil generator that will help you choose the correct planetary kamea (for those of you who are not familiar with astrology). Don’t worry, if you’re not into astrology woowoo you can still choose the basic 1-9 non-planetary method!